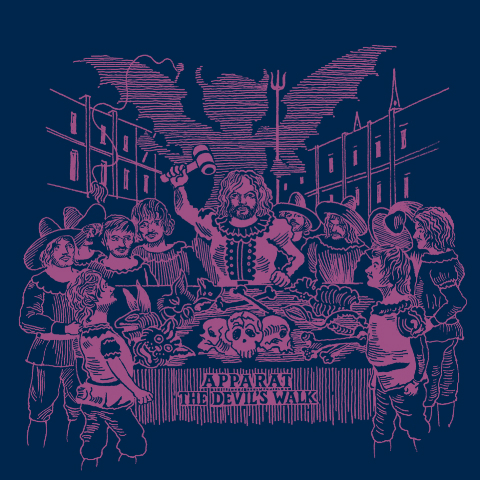 Apparat is back with details of The Devil's Walk, his first for Mute Records . Apparat is back with details of The Devil's Walk, his first for Mute Records. Firstly, an apology to those of you who are super quick on the pulse. We missed Apparat's new track "Black Water" last week, but we have it for you now. Moving swiftly on, Sascha Ring (Apparat) has put Moderat (Electronic supergroup) on the back burner for the time being to focus back on Apparat. We're pretty confident he's going to gain a large amount of accolades for it. "The Devil's Walk" will be released on September 26. Now listen to the beautiful "Black Water", which is also available as a MPfree.